How does reiki heal and benefit you? Our body is composed not only of physical elements such as muscles, bones, and organs. It also has a subtle energy system through which 'life force energy' flows. This subtle energy system is composed of chakras, energy highways called meridians, and fields of auric energy which surround our physical body and assist us in processing our thoughts and emotions. The existence of 'life force energy' and the necessity for it to flow freely in and around one's body to maintain health has been studied and acknowledged by health care practitioners as well as scientists. Our physical body is alive because of the 'life force energy' that is flowing through it. If our 'life force' is low or blocked, we are more likely to get sick, but if it is high and free flowing, we more easily maintain health and a feeling of well-being. One thing that disrupts and weakens the flow of 'life force energy' is stress. Stress is often caused by conflicting thoughts and feelings that get lodged in one's subtle energy system. These include fear, worry, doubt, anger, anxiety, etc. Medical research has determined that continual stress can block the body's natural ability to repair, regenerate and protect itself. The American Institute of Stress estimates that 75%-95% of all visits to doctors are the results of reaction to stress. The effects of unreleased stress range from minor aches to major health concerns, such as heart disease, digestive disorders, respiratory and skin problems. Reiki (ray-key) is a technique that aids the body in releasing stress and tension by creating deep relaxation. The Reiki system of healing is a technique for transmitting this subtle energy to yourself and others through the hands into the human energy system. It restores energy balance and vitality by relieving the physical and emotional effects of unreleased stress. It gently and effectively opens blocked meridians and chakras, and clears the energy bodies, leaving one feeling relaxed and at peace. A treatment feels like warm, gentle sunshine which flows through you, surrounds you and comforts you. 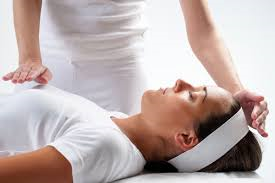 Reiki treats the person’s body, emotions, mind, and spirit. Reiki is a simple, natural, and safe method of spiritual healing and self-improvement that everyone can use. Reiki is powerful, yet wonderfully gentle and nurturing. During a treatment, the clients remain fully clothed. Reiki supports any medical, or supplemental healing methods a client may be using. Celebrate Mom all Mother's Day weekend with pampering! We're offering three days of special pricing on various services to help you give mom the gift of relaxation. Busy that weekend? You can always get mom a gift certificate so she can pamper herself according to her schedule! Good news to report…..Venus has turned direct!! We can now begin to take action on all the pondering while our Sleeping Beauty was retrograde of what we feel is of value in our life….what kind of self-love are we experiencing…..what is our relationship to our finances, and what in this world and in our lives do we appreciate most and brings us the most pleasure. That which our heart wants is now awakened. This can feel uncomfortable as we begin to make decisions that can be very difficult and even painful, especially since Venus is in Pisces making aspect to the wounded healer Chiron and about to make contact with Saturn, the task master. What has been limiting you to achieving your greatest pleasures? What relationships are restricting you? You are being asked to make the necessary decisions and changes that will ultimately bring you to a place of more self-love, value, and appreciation for life and all it has to offer. Painful as it may be, we must meet the resistance that holds us back and leap forward into a place of harmony and balance for our personal well-being. If you would like to know where these aspects will affect your life, Debbie will be available for readings at Mystic Flow on Thursday, April 20th. Please call in advance to book an appointment at (571) 284-7612, or you can book online. 1. The heat penetrates deeper, so the effects reach deeper. 2. You sweat much more heavily and at a lower temperature. 3. The composition of your sweat is different than that produced in a traditional sauna —- the sweat produced is loaded down more with toxins, including unwanted chemicals and heavy metals. 4. The heat penetrates deeper, so the effects reach deeper. 5. You achieve more benefits in less time. 6. People (maybe yourself included) will be able to safely and comfortably use your sauna who can't tolerate a regular sauna. 7. You use up more calories while you’re sweating —- and yes, we're talking about burning calories and not just losing water weight. 8. It won’t raise your blood pressure, and may even lower it. 9. It’s easier on your lungs and eyes. If you're a healthy person - or one whose health issue doesn't prevent sauna use - you can take a sauna every day! Here’s a list of many of the medically proven sauna benefits. Couples massage is a wonderful way to relax and bond together! Enjoy one hour of massage together to decompress and unwind. Enjoy 30 minutes together in our infrared sauna followed by a 60 minute float for each of you in a private float room. Follow up this 90 minutes of bliss by spending time together in our relaxation lounge with a cup of tea or some lemon water. Relationships are the story of our lives, whether it be with our boss, our parents, our children, friends or lovers. We need to feel connected, loved, and understood, and be engaged in harmonious relationships. Our relationships play a big role in reﬂecting back to us our own personal soul evolution through our interactions, yet they can also be a source of great conﬂict and pain in our lives. Why? Why is it that we can either feel an immediate connection/attraction to someone or feel disharmony or conﬂict? What is it energetically that transpires in our relationships? Astrology is the study of man in relation to his environment, the telling of time and of life cycles. Man, animals, nature and the cosmos are all One and interact with one another energetically. As the planets move and rotate through our solar system, they create cosmic rhythms, vibrational frequencies that affect us and our interactions with the world around us and our relationships. So how do these various energies of the planets affect us personally and why? In this class we will discuss how planetary inﬂuences affect our relationships with those around us. We will discuss how to recognize potential partners, what inﬂuences our communications and interactions with others, and where we may ﬁnd challenges in existing relationships. What is a hydromassage table? 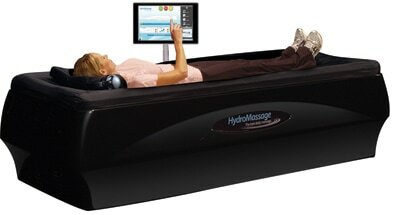 Many people have never heard of a HydroMassage table, but everyone who tries ours just loves it! A mattress filled with heated water lies just under the surface of the table (you don’t get wet! ), and a pump propels the water toward you through three patented hydro-jets. It’s the water pressure that provides the massage, creating more than 200 revolutions per minute per jet. It’s fully customizable, so you can target the areas of your body that require attention. When you arrive, we’ll show you how to customize your massage. You can control the pressure, the speed, even the section of the body receiving attention! We also provide noise cancelling headphones. The HydroMassage is also equipped with music. We’ll turn the lights off in the room for you on our way out, so you can fully relax. We recommend wearing clothes which are not too bulky, so you can have the full experience of the water pressure. You only need to remove your shoes. We offer 20, 40, or 60 minute sessions on the HydroMassage. If you’re curious, please stop in!